Robinson Air provides air conditioning, heating, and home performance services to the residents of Duncan, OK and the surrounding areas. Call us today at 580-699-5760 for more information about our services or to get an estimate. Read our reviews and find out why your neighbors consider us to be the experts for HVAC repair, replacement, and maintenance in Duncan, OK. The service and installation crew are very informative and go about their business in a professional way! I’m glad we chose Robinson Air to help us with our heat and air unit. Really helpful inspection and gave good advice on how to fix some possible issues. Micah is a great technician. Very friendly and knowledgeable. He takes the time to explain what he's doing. He also takes the time to do the job right. Great service from Robinson Air. I'm comfortable. Installers were very knowledgeable, helpful, and professional. Great Service. Mike very friendly and efficient. Explained everything very well. I did not have to wait long for them to come to my house, which it great since it is very hot. I would highly recommend. Micah showed up early which is fantastic explained everything thoroughly gave us good recommendations. My husband and I are very loyal to companies that value our business and I can say beyond a shadow of a doubt that we will continue to use Robinson air. Very pleased. Will be calling again. Micah was very informative and explained things very well. Very happy with the service from the technician. He was very helpful and polite. I believe Micah is one of the most professional technitions that I have had. Great Job. We had a great, very informative service today. Very informative, and very friendly! Working on a 21 year old trane that has no r22. Customer is going to change sytem. Performed a duct cleaning on 2500 sq foot. 2 systems. 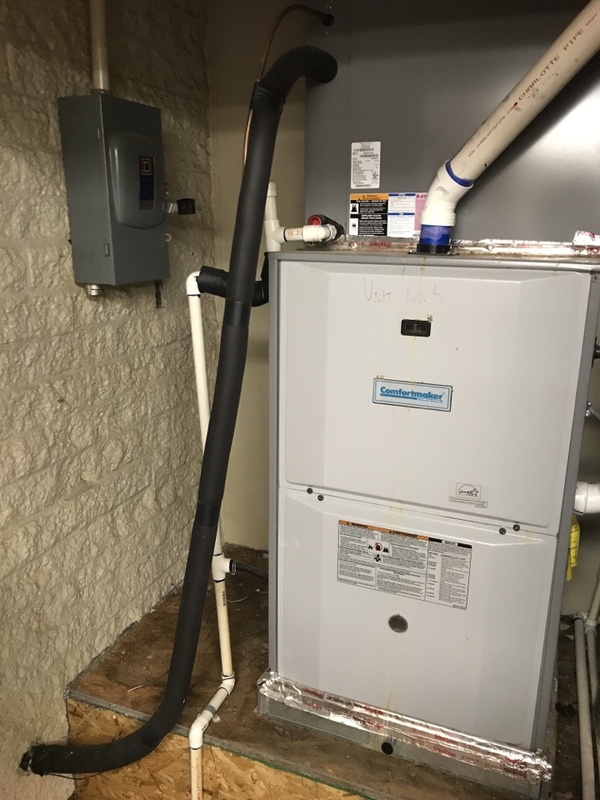 Installed a 3 ton silver heat pump.